In spite of a trade war that escalated over the last six months. 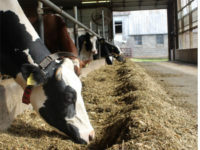 The New USMCA Trade Agreement has cemented the dairy communities support of Trump and the Republican platform ahead of the 2018 midterm elections. Jim and Mary Mountain are the only visible Democrats in all of Belfast, New York. And their neighbors do not approve. 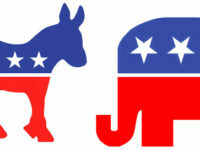 Propositions for a flat, or fair tax, have been common among Republican candidates for two decades, and have gained popularity among Republican voters. The fierce female candidate faced off against the leading GOP candidate in the polls, Donald Trump, right off the bat. GOP CNN Debate: What Would Reagan Do? Strategists and average Americans alike no longer need to wait for the results of formal polls to understand the political climate as viewers’ theories and opinions are instantly shared online. Trump and Fiorina, who previously exchanged some harsh public words, were up first with some tough questions about whether she would trust him with nuclear codes (the answer was no). According to a March 29th Pew Research Center Poll 59 percent of democrats say there is a “good chance” they will vote for Clinton.